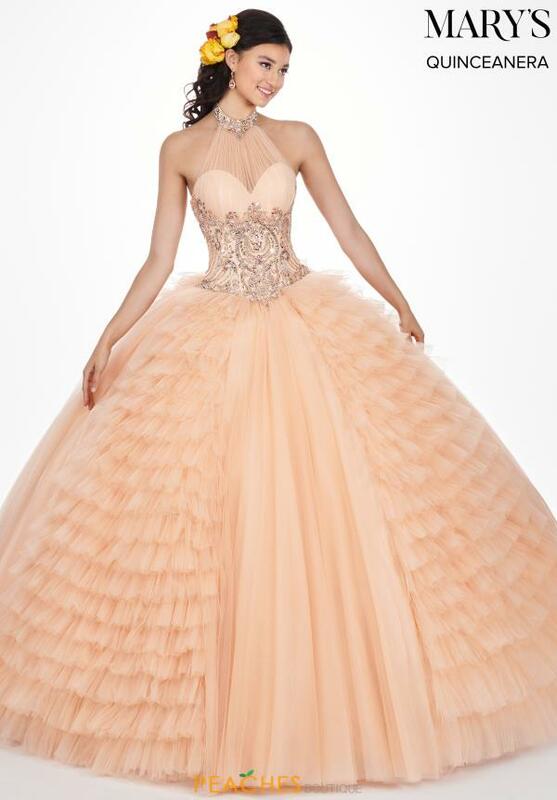 This fashion forward ball gown MQ2063 by Mary's is a stunning choice for your big day as it showcases a halter neckline with sweetheart bodice, incredible hand sewn bead work and a full tulle skirt with unique multi layered panels. 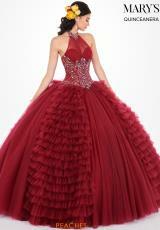 An outstanding quinceanera or sweet sixteen gown, complete this brilliant ensemble with a dazzling tiara and matching earrings. 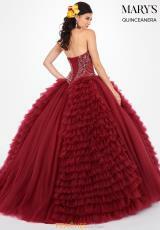 Find a vast selection of quince dresses at Peaches Boutique in Chicago.